Mercedes-Benz takes its all-new S-Class quite seriously, even by German standards. So it shouldn’t come as a shock that even a scale-model Sonderklasse is carefully crafted. 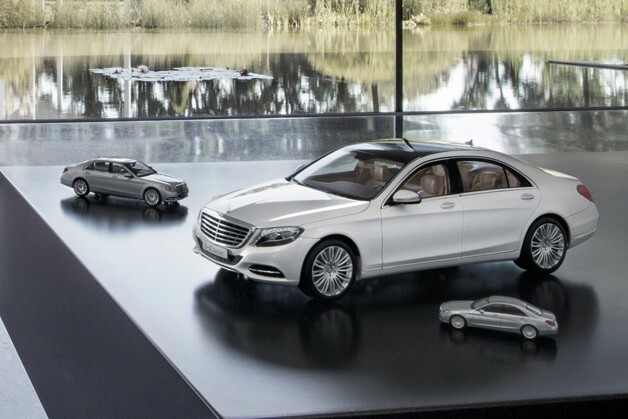 The miniatures in question cover the 2014 S-Class and come courtesy of three brands, in three different sizes, and are available through the Mercedes-Benz Collection. The largest, and not surprisingly priciest, model is a 1:18-scale (making it about 11.4 inches long) creation from Norev. It features 145 individual parts, with opening and closing doors, trunk, and hood. For those that like to play with their expensive toys, the Norev S-Class comes with gloves. Dropping down the line is a 1:43-scale from Schuco that sits at 4.5 inches long. Like the larger model, it has a sunroof, detailed headlights, and multi-spoke wheels. With 55 parts, the doors, hood, and trunk can’t be manipulated, but it does come on a stylish plinth, with a case. The smallest model is by Herpa, and is a tiny 1:87-scale (about 2.3 inches long) miniature. Only 26 parts are used, but like the Schuco, it comes on a plinth and with a case. 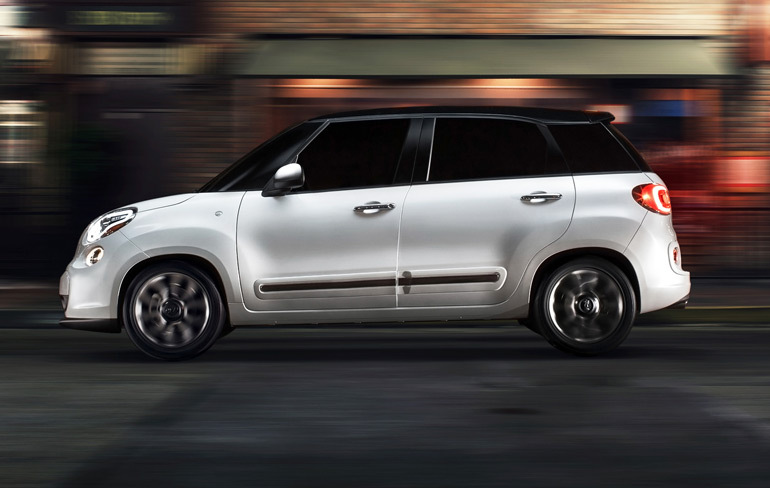 All three models come with a choice of three paints, with Diamond White Metallic available across the range. The Norev model adds Blue Anthracite and Iridium Silver, while the Schuco can be had in Diamond Silver and Magnetite Black. The Herpa, meanwhile, runs a mix of the two, with Blue Anthracite and Magnetite Black. Pricing is only available in euros, and includes Germany’s 19-percent value added tax. The Norev is 79.90 euros ($106.06), the Schuco is 29.90 euros ($39.69) and the Herpa is 15.90 euros ($21.11, all conversions are today’s rates.) Scroll down below for a press release from Mercedes. Mercedes drastically reduces size of S-Class with new model cars originally appeared on Autoblog on Thu, 01 Aug 2013 08:30:00 EST. Please see our terms for use of feeds. In an effort to target higher-volume vehicle segments, Jaguar is getting ready to introduce its first-ever crossover, and Autoweek reports that we could see it debut at the Frankfurt Motor Show in September. We’ve heard in the past that the new Jaguar crossover could carry the name XQ, but the report also mentions that the Q-type name is still in the running (now wouldn’t Audi just love that?). A little more clear than the crossover’s name, AW says the cargo-friendly Jaguar should ride on the same platform as the upcoming Jaguar XS compact sedan rather than using a Land Rover platform. As for the on-sale date, it still sounds like the XS will hit the roads first in 2015 with the crossover model due out in 2016. Jaguar readying SUV for Frankfurt debut originally appeared on Autoblog on Thu, 01 Aug 2013 07:59:00 EST. Please see our terms for use of feeds. BMW still hasn’t released official fuel economy numbers for its diesel-powered 2014 328d, but now, those mileage ratings have been posted on the EPA’s FuelEconomy.gov website. As expected, the 328d is quite an efficient little machine, with the rear-wheel-drive sedan good for 32 miles per gallon in the city and 45 mpg highway. That even bests the 30/42 mpg of the smaller Volkswagen Jetta TDI. The last time BMW offered a diesel 3 Series in our market, it was the six-cylinder 335d, which – while mighty quick and excellent to drive – was only offered as a rear-wheel-drive sedan and was rated at 23 mpg city and 36 mpg highway. For 2014, BMW will offer the 328d with optional xDrive all-wheel drive, though that reduces the fuel economy numbers to 31/43 mpg. Beyond that, the BMW will even sell you a 328d xDrive wagon, which nets the same 31/43 mpg rating, according to FuelEconomy.gov. 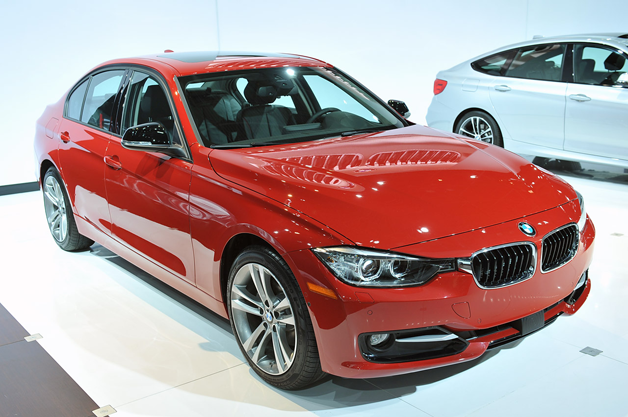 Look for the 2014 BMW 328d to hit dealerships this fall, and when it launches, it will be the only diesel offering in its class (until the next Mercedes-Benz C-Class arrives, anyway). Lexus and Infiniti will offer hybrid versions of the IS and Q50, respectively, but we’ve always had a taste for torque, and the 328d’s 2.0-liter engine with 180 horsepower and 280 pound-feet of twist shouldn’t disappoint. 2014 BMW 328d rated at 32/45 mpg originally appeared on Autoblog on Wed, 31 Jul 2013 19:00:00 EST. Please see our terms for use of feeds. That didn’t take long. Shortly after a French administrative court gave the French government a ten-day window to reconsider its ban on registrations of Mercedes-Benz A-, B- and CLA-Class cars using the prohibited R134a refrigerant, the government cited an EU directive to formalize banning the sale of the cars. The country’s environmental ministry said that registrations “will remain forbidden in France as long as the company does not to conform to European regulations,” meaning so long as they do not use the approved R1234yf refrigerant. Daimler had won the administrative court decision by challenging France’s application of a “safeguard” provision in which the EU allows a country to block sales of cars that would “seriously harm the environment.” In spite of Daimler’s victory, France has cited that very provision as basis for the continuation of the ban. Daimler got permission from Germany’s KBA federal motor authority to keep selling cars with the coolant banned by EU politicians, and is using that national permission as the right to sell the cars throughout Europe. Meanwhile, above that battle, German politicians are asking the EU to let Mercedes sell the cars in France while the KBA does more testing, at the same time as the EU is threatening Germany with repercussions if it doesn’t bring the KBA and Daimler into line. The German carmaker has said France’s “argument is absolutely incomprehensible” and has vowed more courtroom action. The three models comprise most of Mercedes’ business in France; more than 4,500 vehicles have been kept from being registered, 2,704 of which have already been sold. 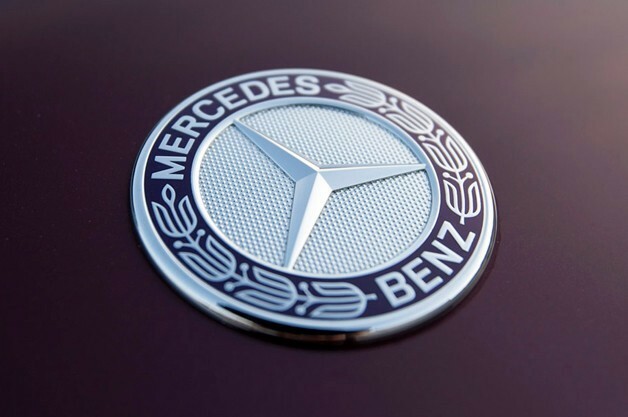 France formally moves to ban Mercedes vehicles using contested refrigerant originally appeared on Autoblog on Wed, 31 Jul 2013 18:00:00 EST. Please see our terms for use of feeds. Porsche is preparing to launch its sub-Cayenne CUV, with a suspected debut at the 2013 Los Angeles International Auto Show, which means we’re right about at the point where undisguised models start scampering around the cities and towns of Germany. Our spy photographers snagged just such a model, with only the headlights and taillights concealed by camouflage (no, those comically large lamps aren’t a production item). The undisguised car looks like a tiny Cayenne. Not really surprising, we know, but it’s impressive to see how the Cayenne’s styling works with the smaller proportions of the Macan. It looks squat, athletic and poised, like it’s a small, “sporty” crossover we’d actually want to drive. Both the Macan and the Macan Turbo are shown, with the more powerful model sporting a set of quad exhausts. 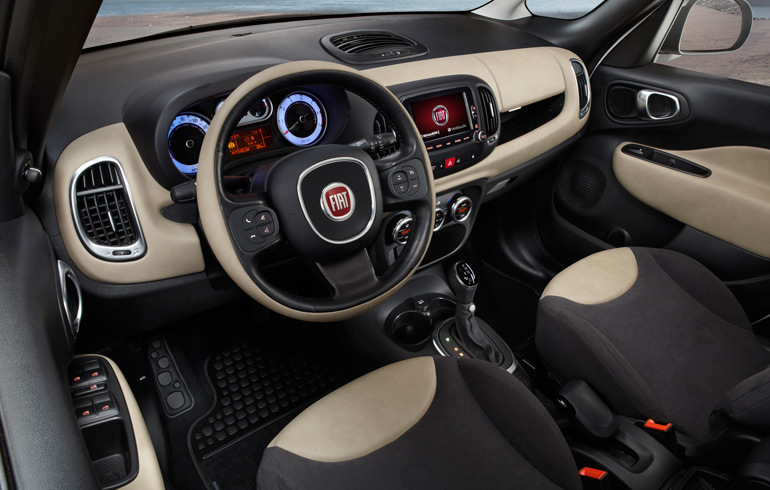 The only big questions now concern the shape of the lights and the interior. From the photos, we can see a rough outline of the headlights, although the taillights are more difficult to discern. The interior remains a mystery. Thankfully, LA is less than four months away, so we won’t have too long to wait to see a fully uncovered Macan. 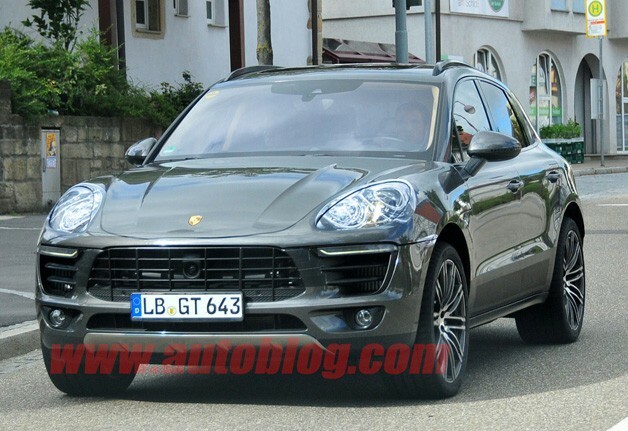 Porsche Macan caught completely uncovered originally appeared on Autoblog on Wed, 31 Jul 2013 17:31:00 EST. Please see our terms for use of feeds. 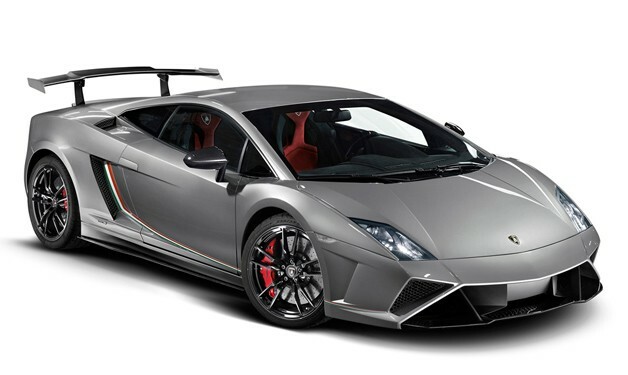 Lamborghini announced a new Gallardo model today, the all-wheel-drive LP 570-4 Squadra Corse, and it’s almost identical to the LP 570-4 Super Trofeo single-series race car. Its world premiere will be held at the Frankfurt Motor Show in September. The street-legal Squadra Corse shares key components with the Super Trofeo – both of which are based on the Gallardo Superleggera – including the 570-horsepower V10, carbon fiber rear wing and removable engine hood made in the same material. The rear wing produces up to three times more downforce than what’s found on the LP 560-4. Through the generous use of weight-saving materials and components, the Squadra Corse weighs in at 2,954 pounds, which is 154 pounds lighter than the LP 560-4. To stop all of that mass, standard production carbon-ceramic brakes are used. Lamborghini Gallardo LP 570-4 Squadra Corse brings one-make series to the road originally appeared on Autoblog on Wed, 31 Jul 2013 16:29:00 EST. Please see our terms for use of feeds. While Japan’s third-largest manufacturer saw $1.9 billion in profits, the 5.1-percent jump was lower than expected thanks to a drop in its home-market sales. US sales also took a sting, as Honda hasn’t been able to match the SUV and truck demand that are currently permeating the American market, despite an uptick in Accord sales. Honda’s initial forecasts targeted a take of 209.3 billion yen ($2.1 billion at today’s rates), and while a $200 million shortfall is nothing to sniff at, we’d hardly take this as Honda being in trouble. And even with the dip, Honda hasn’t adjusted its forecast for the fiscal year, which remains at 780 billion yen ($7.9 billion). Still, the cause of the problem for Honda isn’t one that’s easily solvable. Accord sales were strong, helping the brand move 745,578 vehicles during the first half of 2013, which is a six-percent improvement in year-over-year sales. Yet, Honda’s market share shrunk by 0.1 percent, and the Japanese manufacturer’s lack of competitive SUVs and pickups is worrying. In the short term, though, the arrival of the new Acura MDX in North American dealerships should deliver a small shot in the arm. Honda’s home-market issues are also troubling, with Reuters reporting a 24-percent drop in sales, thanks to the discontinuation of government subsidies. All told, this isn’t the rosy outlook we’ve gotten used to since the latest batch of earnings came out. Honda reports $1.9 billion profit in first quarter despite sales lag at home originally appeared on Autoblog on Wed, 31 Jul 2013 16:00:00 EST. Please see our terms for use of feeds.